Like most major tech companies, Apple hires contracted workers through various staffing companies to fill temporary positions. Bloomberg talked to over a dozen former and currently contracted employees that worked for Apple Maps. Many of the workers took the job thinking they’d get a chance to work for Apple as a direct employee but were really in a dead end job. Bloomberg’s report focuses mostly on an Apple office building on Hammerwood Avenue in Sunnyvale. Many of the contracted employees for the mapping projects are hired through Apex Systems. Contracted workers are given an Apple badge and work in the same building as direct Apple employees, but they’re treated like second-class employees. 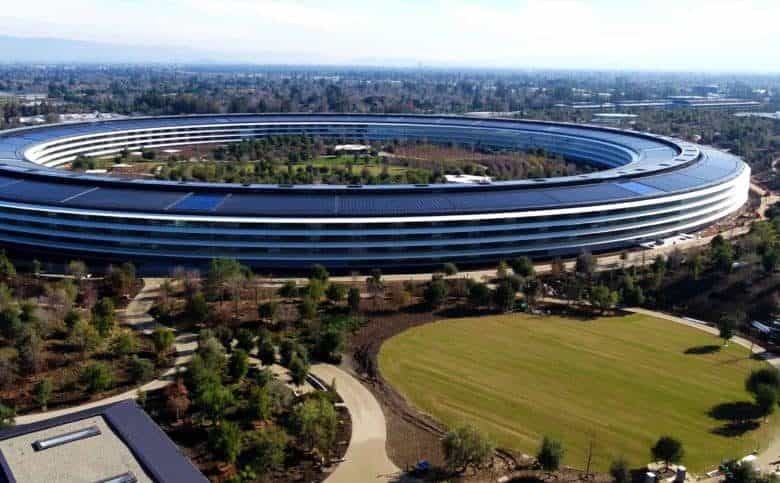 Contracted workers don’t get access to the same benefits as direct Apple employees, such as the 100,000 square-foot gym at Apple Park or the same healthcare benefits. Contractors at the Hammerwood offices have to use the backdoor of the non-descript building. They also allegedly have to walk a few blocks from the building before hailing a ride through Uber or Lyft. Ridiculously long restroom lines are one of the other big problems. Direct employees and contracted workers in the same building have to use separate restrooms. Because there are more contracted employees, their restroom facilities get used more and have long lines. It’s so bad some workers filed complaints against Apple with the state’s Occupational Safety and Health Administration, Cal/OSHA. Socializing too much could also get you fired. Several workers said they would get notifications if they were away from their work desks for too long. Others said Apex managers sometimes broke up unauthorized water-cooler socializing. Despite the complaints, Apple says it recently audited the Hammerwood facility and didn’t find any major problems. “Like we do with other suppliers, we will work with Apex to review their management systems, including recruiting and termination protocols, to ensure the terms and conditions of employment are transparent and clearly communicated to workers in advance,” an Apple spokesperson said.